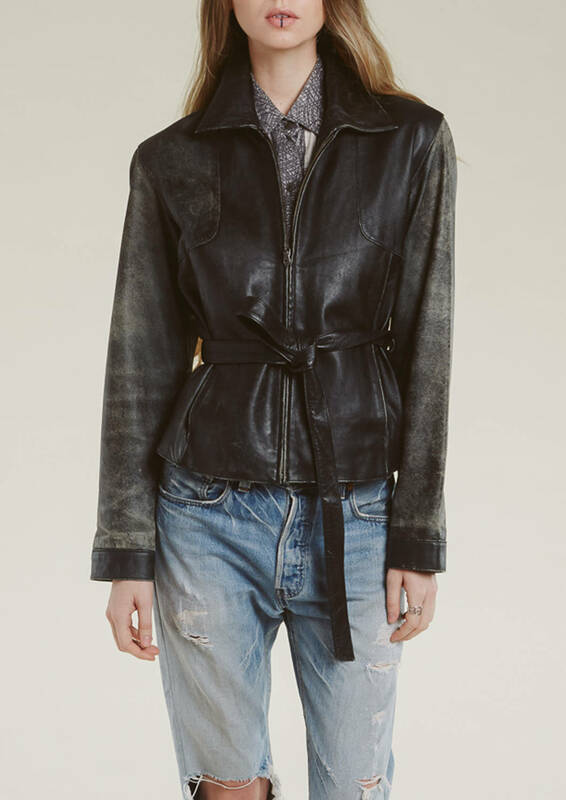 amazing amazing vintage leather jacket from the 90s. 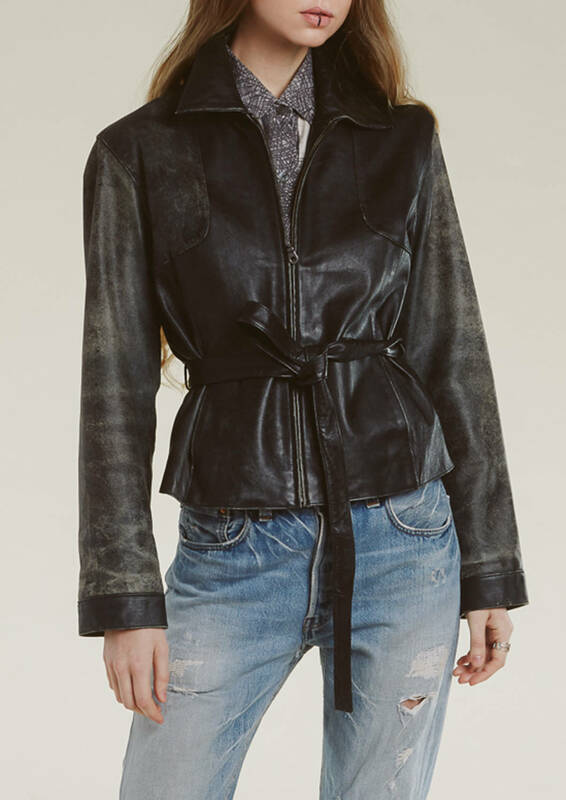 perfectly distressed leather that you just can't recreate! hidden front pockets, matching tie belt. 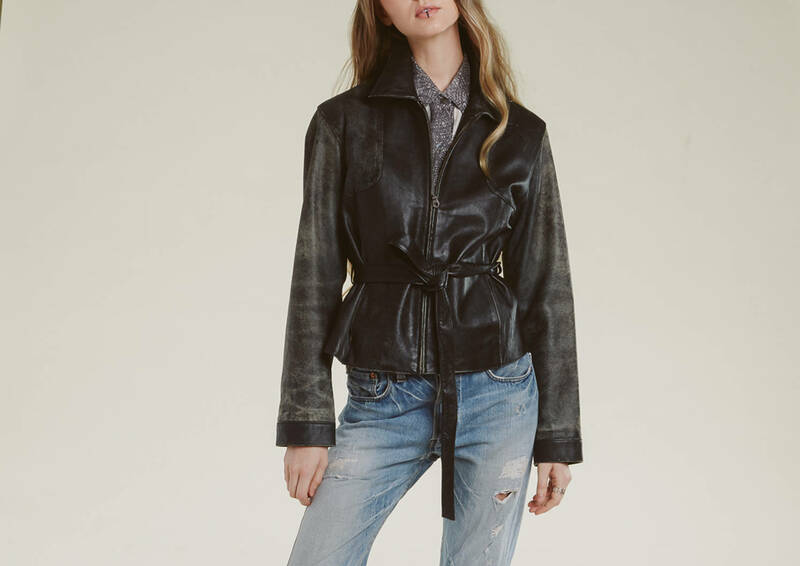 minimal zipper front with collar gives a modern vibe. Excellent vintage condition. natural distressing all over.